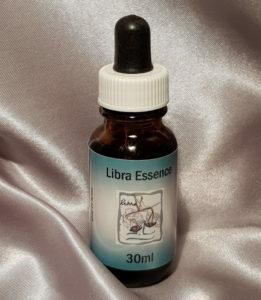 Libra Essence is our seventh in our Star Sign Range. Also the seventh sign of the Zodiac Libra The Scales (24th September – 23rd October) has its basis in the scales of justice, represents the Libran tendency to carefully ‘weigh things up’ before acting. Libra is the sign of justice – that is fair distribution of possessions, right and duties between all – and the search for balance and harmony. This may lead Librans into making excessive compromises. Karma for Libran personalities centres around relationships and a tendency to adapt to the detriment of self. Indecisiveness and a relaxed relationships with the truth are other areas worthy of examination. The karmic challenge for Libra is to be open and truthful in future relationships, so that the needs of both parties are met equally. Libra gets along well with Sagittarius and Leo. The challenging relationships are with Aries, Cancer and Capricorn.